Congratulations to Catherine Lee who won the $20 Amazon GC for her comment at The Reader's Roundtable - By Candlelight and to Reading Romances, the host with the most comments. 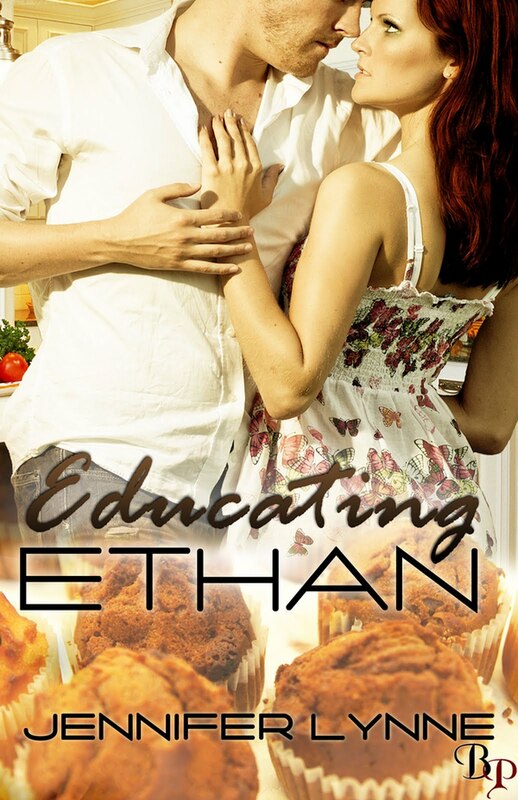 Goddess Fish Promotions is organizing a virtual book tour for Jennifer Lynne's upcoming release, Educating Ethan, an older woman/younger man contemporary romance novella being released February 24th from Breathless Press. The tour will run March 12 - 30, 2012 and Jennifer is available for guest blogs or interviews. Additionally, a PDF of the book will be available closer to her release date for review in conjunction with a post or interview. Jennifer will be giving away a $20 Amazon GC to one randomly drawn commenter during the tour as well as to the host with the most comments on her stop (excluding the author's and the host's). Ida Deloraine intends to build herself a new life and a new career in catering, after a painful divorce. When the much younger Ethan Holt moves in across the street, an innocent flirtation quickly becomes serious when the two realise their age difference is no barrier to all-consuming passion. But Ethan is the exact opposite of what Ida is looking for in a sexual partner. He is young and vibrant, with his life and his dreams still ahead of him, whereas hers are all in the past. Can Ethan, who is fighting his own demons in the form of a car accident, failed marriage and forced career change, convince Ida to overcome the past and live for the moment? And just who is educating who in this cougar encounter? We'd love to do an interview with Jennifer Lynne at The Readers Roundtable by Candlelight either on March 13, 14, 26, 27, or 28. We could also review the book. This books sounds so good. I like cougar encounters!